I wish you could have been there! I was blessed to be a part of the first International Missions Conference in June, which was organized by the Convention of Philippine Baptist Churches and Swatow Baptists. Have you ever stood under a hot shower after a long day and just experienced the sheer joy of it? That’s how we felt during our recent ministry trip to the Philippines. Only it was a shower of blessings as God kept bringing together the right people at the right time. Here is what our Filipino sisters and brothers said about our time there. A friend recently asked us: “What do you do as missionaries?” Great question! Since you may be wondering the same thing, here’s our quick answer: Right now, you are partners with us in equipping young Bible school students at a refugee camp, providing more accessible theological education to oral learners through brand new initiatives in two countries, helping Christian workers use business tools to develop innovative and sustainable solutions to pressing social problems, and mentoring the next generation of cross-cultural mission workers. This is the season of Matariki in New Zealand, the Maori celebration of the new year. Similar to the western New Year holiday in January, it is a time to reflect on the year past and prepare for the year to come. Looking back over the last month or two, we praise God for the opportunities we have had to encourage God’s people. Looking ahead, we see that God is preparing new opportunities for service and learning. Teaching social entrepreneurship in Vietnam turned out to be a pan-ASEAN affair! Students from Thailand, Vietnam, and Indonesia came to Hu? University in central Vietnam to learn, share, and be inspired. Two of the participants were university professors who came to learn how to develop a curriculum in social entrepreneurship for their schools. The highlight of the course was the class visit to an organic vegetable market called Susu Xanh, a social enterprise set up by a non-profit organization to support farmers shifting from “marinating their vegetables in pesticides” to organic agricultural methods. After the social entrepreneurship course, we met with pastors in 3 cities in central Vietnam and then in Phnom Penh, Cambodia. In each case, we heard testimonies of God’s faithfulness and protection in the midst of challenging circumstances. Both countries are undergoing rapid and profound social and economic change; these pastors put their hope in the Lord as they find new ways to “be the church”, train up leaders, and share the good news. We were honored to receive invitations from both Baptist conventions to return and provide trainings in holistic ministry and servant leadership. Pray that God would give us wisdom as we work with Cambodian and Vietnamese Baptist leaders to design a video-based theological training program for pastors and leaders in remote parts of their countries. Pray for wisdom as Ann prepares to teach several courses at the Kawthoolei Karén Baptist Bible School at the Mae La refugee camp on the Thai-Myanmar border in August and September. Bruce continues to offer counsel to students from the course we taught in Vietnam. 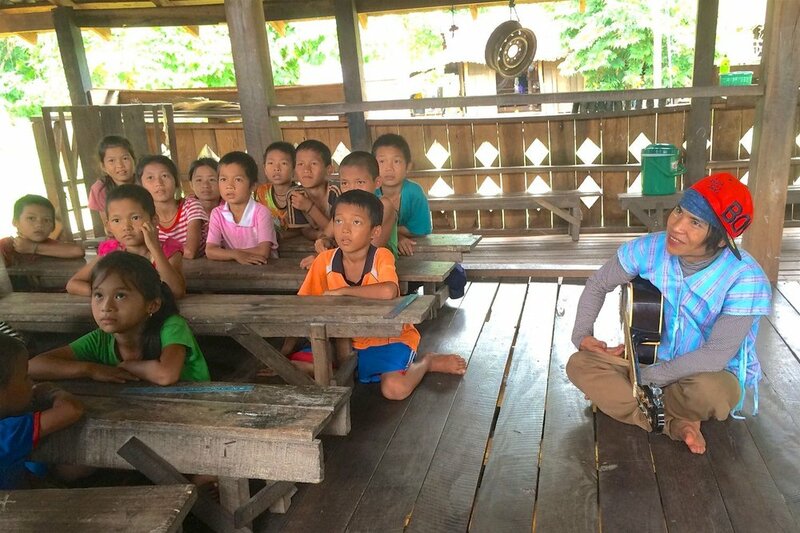 One student is managing an organic vegetable market, and another plans to develop a church-based senior center in the Karén community in Thailand. Pray that God will grant him “tenacity and guts” (as a former friend used to say) as he prepares his doctoral research proposal for presentation toward the end of the year. We will begin Indonesian and Maori language classes in July. (Maori is an official language of New Zealand). Pray that our 6th decade brains would embrace the new sounds and grammar. Have you noticed? God often surprises us with the unexpected encounter, the unforeseen call. If only we have “eyes to see” – to recognise when God introduces us to a new person, or a new journey, or a new understanding. We ‘bumped’ into many New Zealand Baptist colleagues during a recent visit to their national headquarters, and were inspired to learn about the range of ministries they have both at home and in SE Asia. On the same trip, we visited a community housing project for “single women over 65” sponsored by a local Baptist church. This came about because Bruce ‘bumped’ into one of the trustees at a social entrepreneurship conference. It is encouraging to see how God is putting the pieces in place for us to serve in Thailand, Burma, Indonesia and Vietnam in the coming 4 months through a whole series of divinely inspired ‘bumps’. We’ll keep you posted as the opportunities take shape. 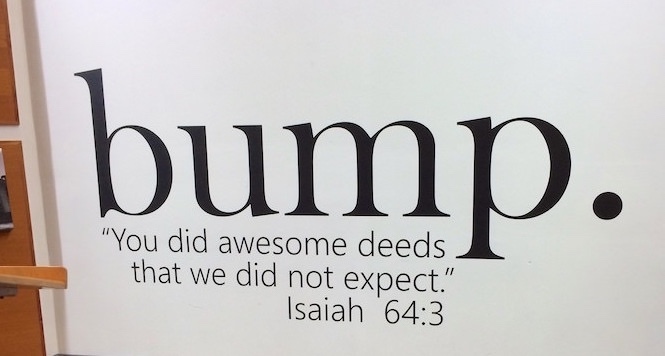 Have you seen God at work in a recent ‘bump’ in your life? If so, we’d love to hear from you. What is Faith-Based Social Entrepreneurship? This is probably one of the most audacious things I (Bruce) have ever attempted. I knew that starting a PhD program at the beginning of my sixth decade would be the adventure for which I’ve been preparing for years … and these first two months certainly haven’t disappointed! My doctoral research focuses on faith-based social entrepreneurship. What is that? It is when individuals or organisations motivated by religious faith develop holistic and economically viable ways to deal with social problems. (One of my early stabs at a definition!) Ann and I train and consult with churches that want to make a difference in their communities, and they often struggle with the problems created by the traditional charity model of social action – but what’s the alternative? I am convinced that faith-based organisations can be more effective in their ministries by using the principles and tools of social entrepreneurship. By God’s grace, I now have an opportunity to contribute to the field by researching its application to and by faith-based organisations. This will also be one of our focus areas as we serve partner Baptist conventions in SE Asia. It’s hard to believe how much has happened since we moved here to New Zealand in mid-December. We found a wonderful place to live and got our home set up with household items from the excellent second hand shops here in Wellington. We’ve been busy arranging our travel and training schedule with five Baptist convention partners in SE Asia. Ann is hard at work on a new edition of a short-term mission team training guide for International Ministries, and on preparing to speak at a pastors’ gathering in the US in April. We are also adjusting to “Kiwi culture & customs”. Here’s a few basic phrases in Kiwi English. See if you can interpret them - we’ll give you a translation in our next update. It’s so good to have our Internet access sorted. That presentation was sweet as - good on ya, mate! Please pray for our brothers and sisters in Brazil are experiencing soaring inflation that makes it extremely difficult to maintain support for cross cultural missionaries serving in Africa, Asia, the Americas, and Europe. Praise God with us! We are settling in to our “house of grace” (grace - unmerited favour of God …and the bestowal of blessings). Thank you for your prayers and your financial gifts - we are overwhelmed by your generosity and faithfulness. facilitated the first-ever gathering of CBN state convention executive ministers, and used an appreciative inquiry process to develop a plan to improve communication and administrative systems that would better serve local churches. facilitated the CBN’s meetings with Canadian Baptist Mission representatives. provided technical support and pastoral counseling as requested by CBN missionaries. coordinated the English language worship service for 1st Baptist Church of Brasília, and preached and taught classes as requested. opened a new dialog with the Baptist Churches of New Zealand as IM representatives, in light of our re-assignment as regional missionaries to partner conventions in Southeast Asia starting in December 2015. We praise God for your partnership with us in all of these ministries! If you have any recommendations, resources or questions in any of these areas, we’d love to hear from you! leave Brazil to begin our US/PR Assignment in August, so this was an important answer to prayer. Here’s what has come together. 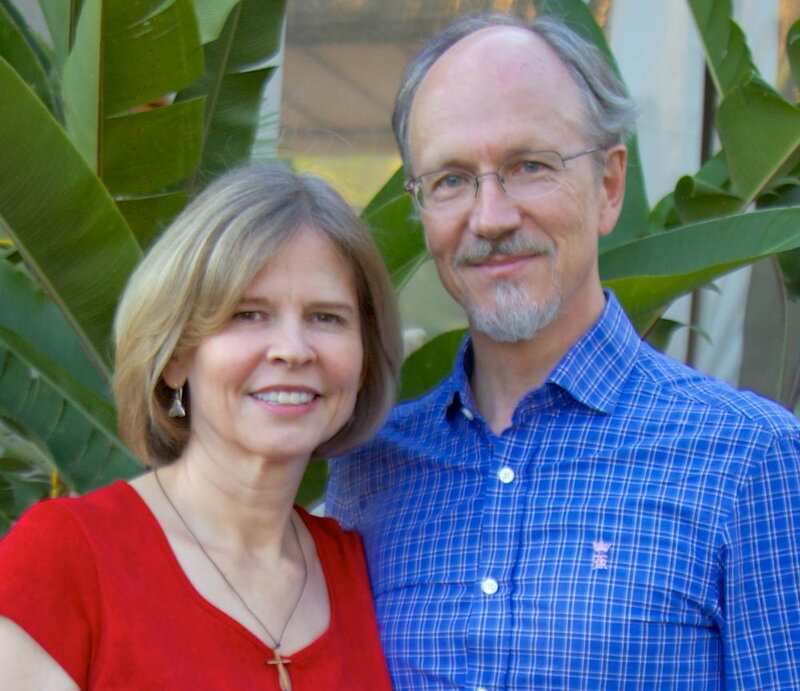 After 4 months in the US, we will begin a new journey as regional missionaries in Southeast Asia. This is a major change for us, as you can imagine. Leaving our friends, family, and ministry in Brazil after 11 years here will be heart wrenching. At the same time, we praise God for the opportunity to work with IM partners in Myanmar, Indonesia, Thailand, Vietnam and the Philippines to provide training in servant leadership, integral mission, cross cultural mission skills, and economic development. The piece that just fell into place is that Bruce was accepted into a PhD program at Massey University in New Zealand, where he’ll study social entrepreneurship in faith-based organizations in Asia. In the meantime, we are feeling both excited and a bit overwhelmed by all the events on the horizon here in Brazil. This weekend we’ll facilitate a strategic planning retreat for national Baptist Women leaders .Then we have two trips to Mato Grosso and Rondônia states to conduct servant leadership training for Baptist men, women, and young adult leaders. In between those trainings, we’ll lead an Integral Mission empowerment workshop for pastors and leaders in Rio Grande do Norte state. Friends, we just received word of IM’s Spring Matching Gift Opportunity - a program that doubles any new or increased gifts toward support of any IM missionary between April 15 and June 15. So if you give $100, it automatically becomes $200. Your gifts make a huge difference to us! Be sure to mark your gift “Matching Gift for Borquist support.” You can give online, by phone (800-ABC-3USA) or by mail if postmarked no later than June 15, 2015. To give online, follow this link.